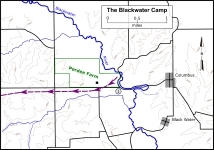 The Blackwater Camp was located near Columbus in Johnson County, Missouri, and served as the rendezvous point for the start of Quantrill raid on Lawrence, Kansas. Looking northeast toward location of Quantrill rendezvous. Steep banks of the Blackwater River near the Quantrill rendezvous. 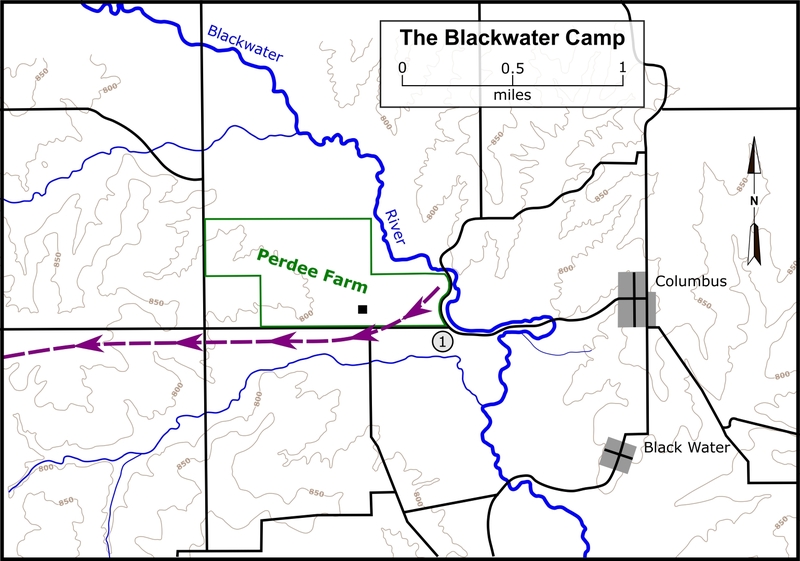 Map showing location of the Blackwater Camp. Click on thumbnail to load high resolution version of the map.